Those of us who lived through the 1950s to the 1970s often dealt with 35mm photo slides being par for the course for family photography. This was most often through people keeping large collections of these slides or sitting through many evenings where it was time to drag out the slide projector and show these slides on a screen. It was infact the kind of activity that tended to take place once someone came back from a long trip overseas. These people valued the slides as a photographic medium because they were compact and you could either show them to many using that projector or view them personally using a handheld viewer. There have been some unsatisfactory attempts to get these slides along with 35mm negatives on to a computer form. This typically involved a very expensive process of sending the pictures out to a digitizing service who would scan them to a CD or you were dealing with a scanning device that would turn out low-resolution images of these pictures and allow you to handle up to five of them at a time. Rollei have raised the game with this class of device by selling a range of standalone slide / film scanners that had a 10-slide “continuous-feed” tray as standard. Here you could place 10 slides in this tray and work a lever to feed each slide through the machine once you scan them using the machine’s control surface. Here, you could scan the slides stored in one of those classic yellow Kodachrome slide trays with very little fuss and is an improvement on similar scanner devices and multifunction printers that have transparency-scanning abilities because you don’t have to place slides in to a carrier like ducks in a row. It can also be of benefit to those of us who have limited dexterity, something that will come about as we get older. Where do the images end up? They end up on an SD card that you provide and you transfer this card to your laptop to download the images. 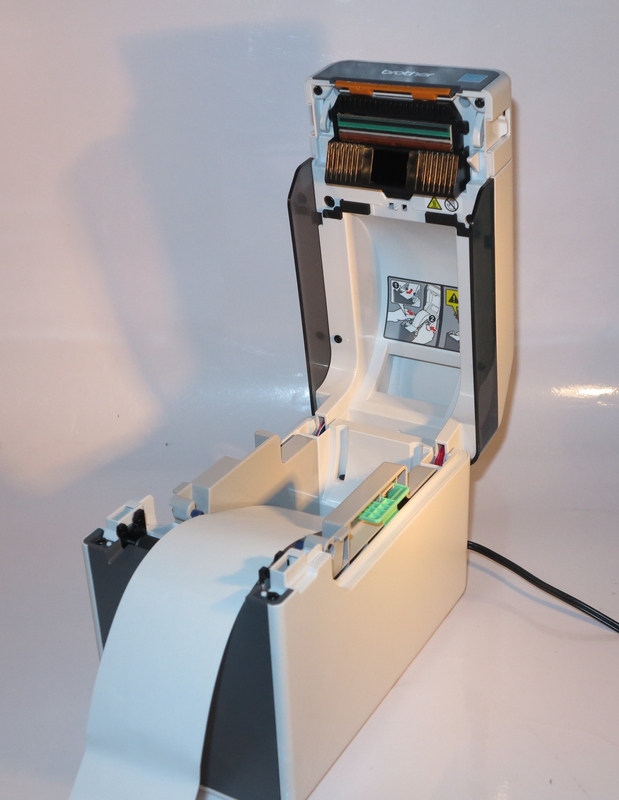 There is the ability to correct exposure or colour balance using the Rolei slide scanners’ controls, along with the ability to correct slides or negatives that were put in the scanner the wrong way. Some of you may find these options superfluous if you use software on your computer like iPhoto or Windows Live Photo Gallery to adjust the picture quality as part of using your computer to add metadata to your image scans. 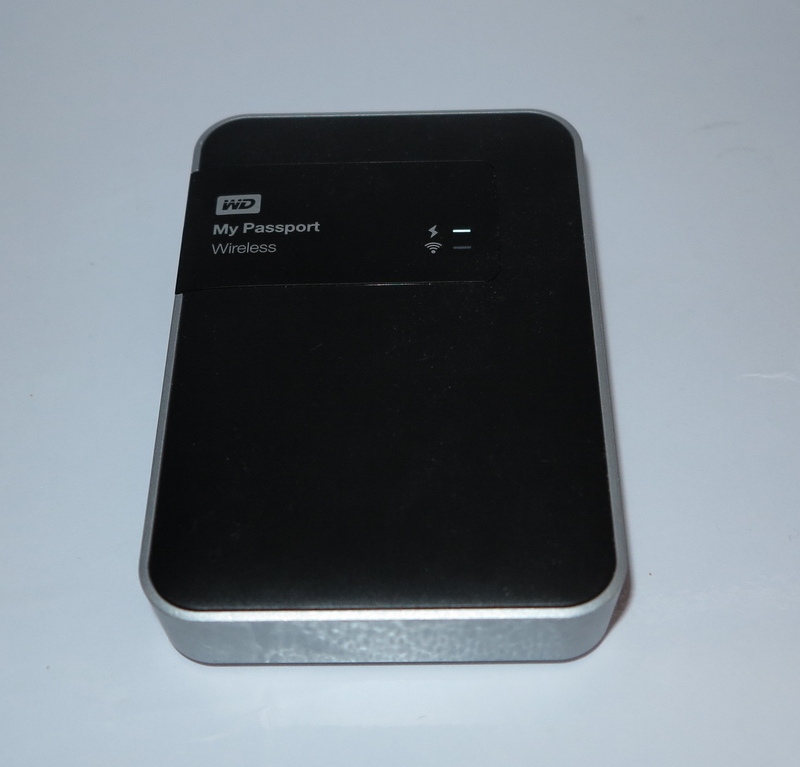 But this can come in handy if the goal is to have those memories appear on an electronic picture frame or similar device, or simply to “dump” them to a DLNA-capable NAS to be available on your home network or a Dropbox folder that you share with your family . 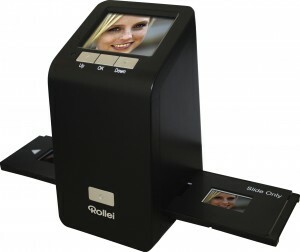 As well, the Rollei DF-S 290 also has an HDMI connection so you can use your large-screen TV or computer monitor as a preview screen or as a playback screen for showing those slides. Of course, there is still a gap in the marketplace for certain “off-the-film” image-scanning jobs. 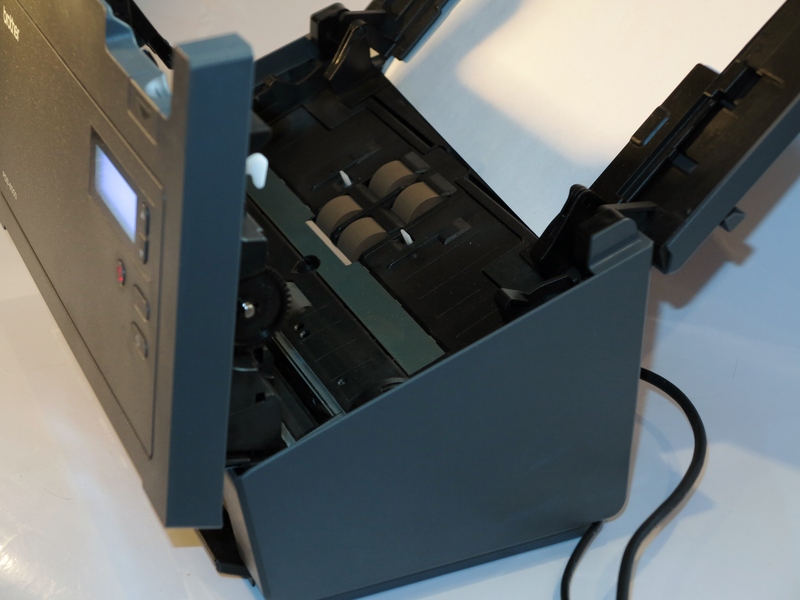 One of these is handling large slide collections that are stored in slide-projector magazines like the Kodak Carousel. 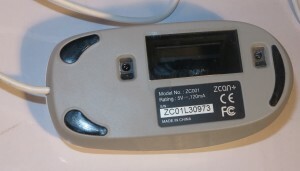 This is because most of the scanners that support these magazine systems tend to fetch premium prices and are typically designed to work as peripherals for computer systems. Another gap is being able to reliably scan film that isn’t held in a carrier that is supplied with a film scanner. This is of annoyance for people who deal with long flimstrips such as slide film that is “strip-processed” or negatives that you developed in the darkroom but didn’t cut in to the standard strips. Yet another gap is being able to handle film formats other than the common 35mm film. In the consumer space, these surface as the 110 or 126 “Instamatic” cartridge films whereas in the hobbyist and professional space, these surface as the 120 or 220 “medium-format” roll films. It also is true for people who use equipment that uses variants of the 35mm film format like half-frame or panorama cameras. 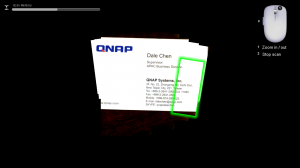 Here, a scanner design could answer these needs through the use of optical zoom or digital zoom with a high-resolution imaging device. As well, for “on-device” editing, there could be the ability to crop to various aspect ratios supported by these films or stitch together panorama images taken by multi-frame panorama cameras. At least someone is taking a proactive step towards providing affordable equipment for scanning those large slide collections and making them available to view on our home networks. Expecting your printer to be the home or small business printing press? What does it need? 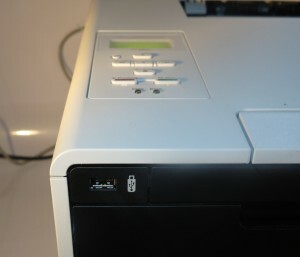 Most small organisations such as micro-businesses and other small businesses will place an expectation on desktop-style computer printers to be used as an “organisational short-run printing press”. This expectation has been brought around through the availability of software with varying levels of desktop-publishing functionality at prices most people and small business can afford. 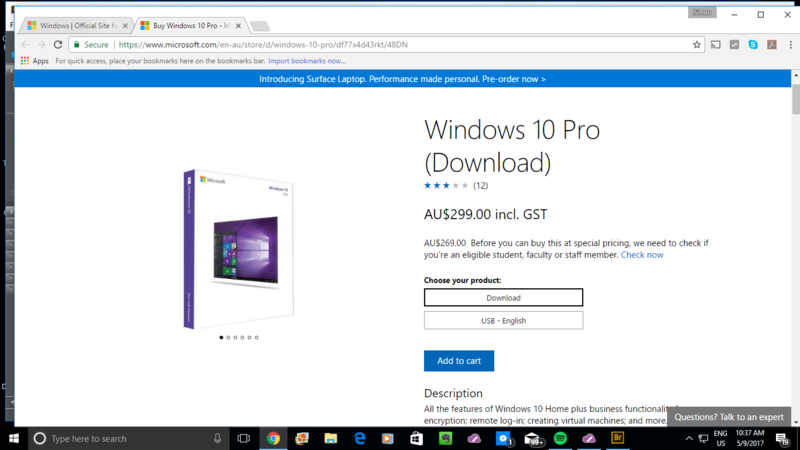 This ranges from software in a typical office-software package offering elementary desktop publishing functionality like Microsoft Word and PowerPoint, through to dedicated mid-tier desktop publishing software of the Microsoft Publisher class that is at a price most people can afford and is easy to understand. The same expectation has been underscored by the various printer manufacturers with their recent desktop-printer designs, especially with the high-end business models of their product range like HP’s OfficeJet Pro lineup. 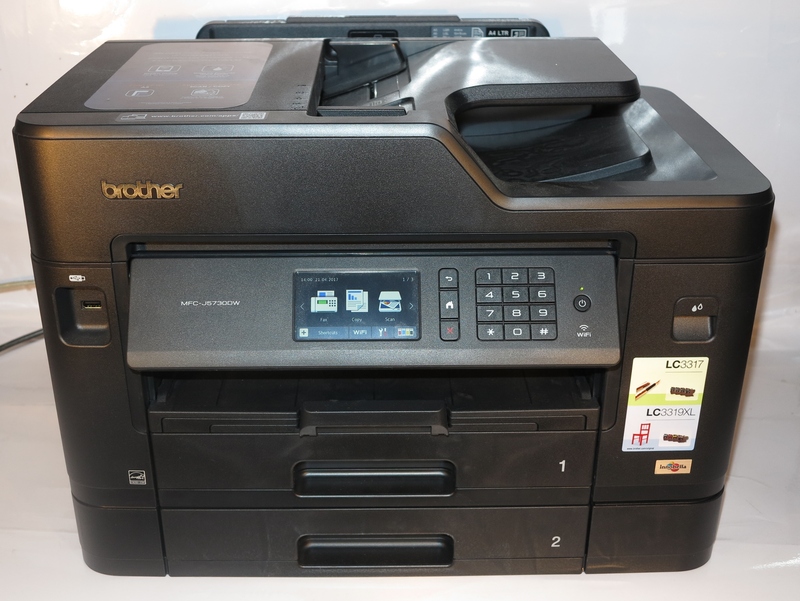 Here, they are bringing printing abilities, output speeds and document quality associated with workgroup-grade freestanding printers to this class of printer with such examples as Brother offering business-grade desktop inkjet multifunctions that can turn out A3 documents. It has been underscored in the advertising that these printer manufacturers provide and is more evident with Websites and, especially, TV commercials that are run on prime-time TV which reaches most consumers more easily. Examples include a recent Canon TV commercial for their PIXMA printers, HP’s website for their OfficeJet Pro inkjet printers highlighting their prowess with turning out brochures, or Brother underscoring their business printers’ prowess with desktop publishing through a series of TV commercials. It should be feasible for customers to purchase high-yield ink or toner cartridges as an option for the printer alongside the standard-yield cartridges. 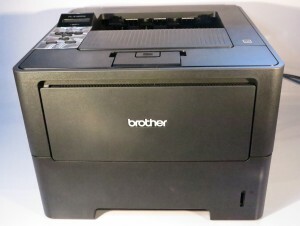 Some vendors like Brother are known to offer “super-high-yield” cartridges for some of their printers alongside the high-yield and standard-yield cartridges. This is more important for inkjet machines because the ink cartridges are typically very small and aren’t able to hold a lot of ink. 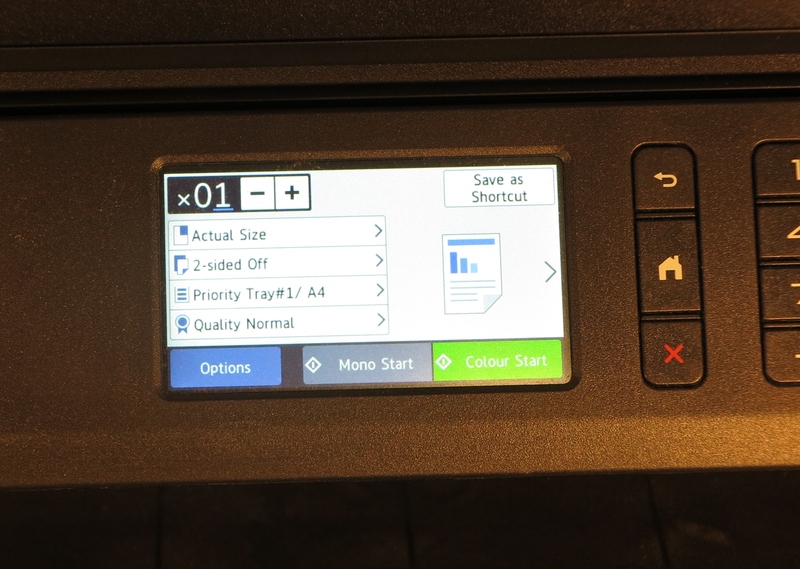 It is worth noting that most of the equipment pitched at business users like the HP OfficeJet Pro 8600 will typically have the larger-capacity ink or toner cartridges even for their standard-yield variants and have a higher duty cycle therefore being able to do this kind of work. This brings me to automatic duplexing. An increasing number of home-office printers and small-business printers are being equipped with an automatic duplex mechanism so that the unit can print on both sides of the paper. This is usually to permit you to save paper but people may find this function useful for turning out booklets, brochures, greeting cards and the like where they want to print on both sides of the paper. 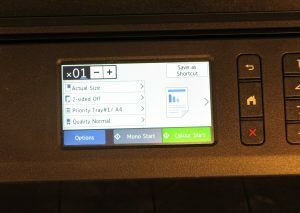 For that matter, most of these printers have a “booklet printing” function built in to their driver software where they can use the duplex functionality to turn out booklets such as a four-page booklet on one sheet of paper. Similarly, automatic duplexing may come in handy for making flyers and signage that is to be seen on both sides such as a sign that is fixed to a window, or a sign used in a freestanding sign holder. A common problem with some of these mechanisms is that they don’t print to the narrow edge of Letter or A4 paper during a duplex print run especially if the paper size determined in the driver software or print job doesn’t match the paper in the printer. 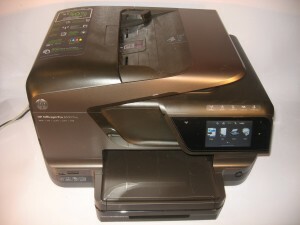 The problem has been more so with most Hewlett-Packard inkjet printers except the OfficeJet Pro 8600, which was pitched as a brochure-printing machine. 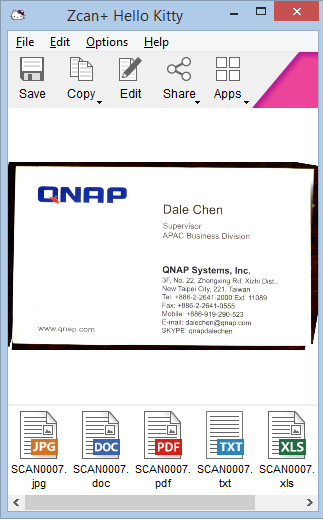 This can cause problems with registration shifting or a requirement to have large margins on the document. 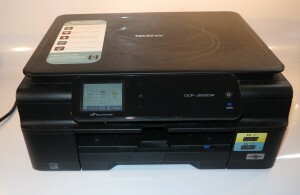 Some Canon printers such as the PIXMA MX-870 have improved automatic duplex mechanisms that can work to the edge of the paper. In the same case, you may find that some automatic duplexers may have problems with page registration. That is where the page is lined up properly on both sides of the paper and can be of concern if you are turning out work like luggage tags, door hangers or bookmarks where it is critical to have the back of the document lined up with the front of the document. You can work around this by allowing a margin on both sides of the design. 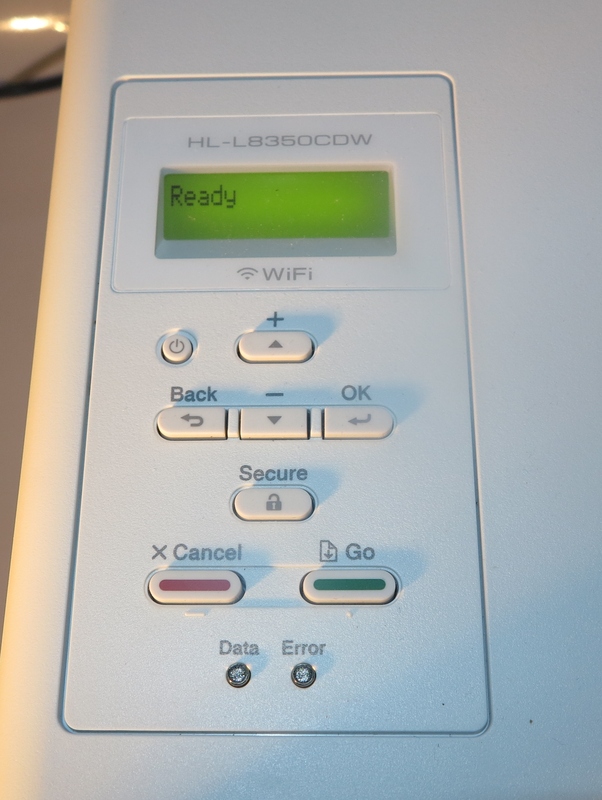 Another problem is that there is a time penalty of up to 15 seconds per page with inkjet printers when they use automatic duplexing with this happening when the front side of the document is being printed. This is to allow the ink to dry on the front side of the paper before the printer draws the paper in to print on the back and is being reduced with newer equipment that uses quick-drying ink. Another limitation that I have found with automatic duplexers is that they don’t handle card stock or similar paper easily because they have to turn the paper around one or more rollers. Here, you may have to use manual duplexing where you reinsert the work in the machine with the other side facing the print head to print it double-sided. It also can extend to glossy or silk-look “presentation / brochure” paper which uses some form of glazing to provide the sheen, and this can cause problems with different printers. So you have to use special media that is designed for laser-printer or xerographic photocopier use. This media is designed to work at very high temperatures so it can pass through the hot fuser rollers without damaging the printer. Some of the media that is made by particular printer manufacturers is designed for the printers made by that manufacturer and, in some cases, printers based on a certain print-engine type. This is due to the manufacturer knowing the operating temperature for the printers in question. 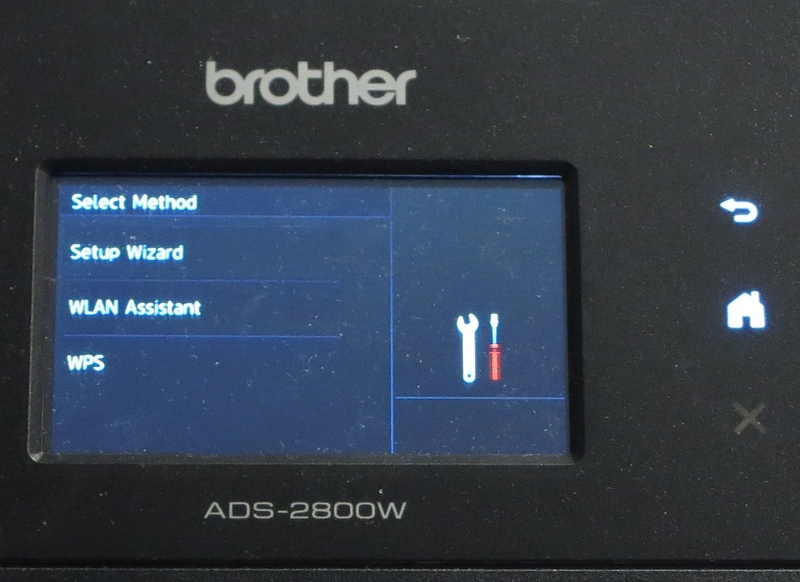 As well, you will need to set the printer’s driver software to work with “overhead transparencies” or “back print film” when you print to plastic media. 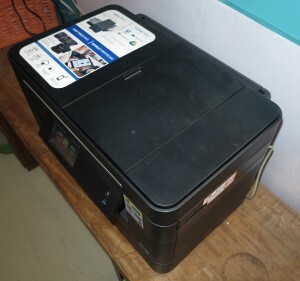 This is to allow the printer to optimise its printing process for the media such as slowing the print-head action so as to make sure the ink ends up properly on the medium. Another medium that may prove itself to be difficult for desktop printers is art board, card stock and similarly-thick papers. Most of these papers can cause problems with printers that implement any paper path that has a U-turn in it like most desktop printers. Here, you may have to use a “straight-through” paper path on them for these papers to work properly and use manual duplexing if you are printing on both sides. 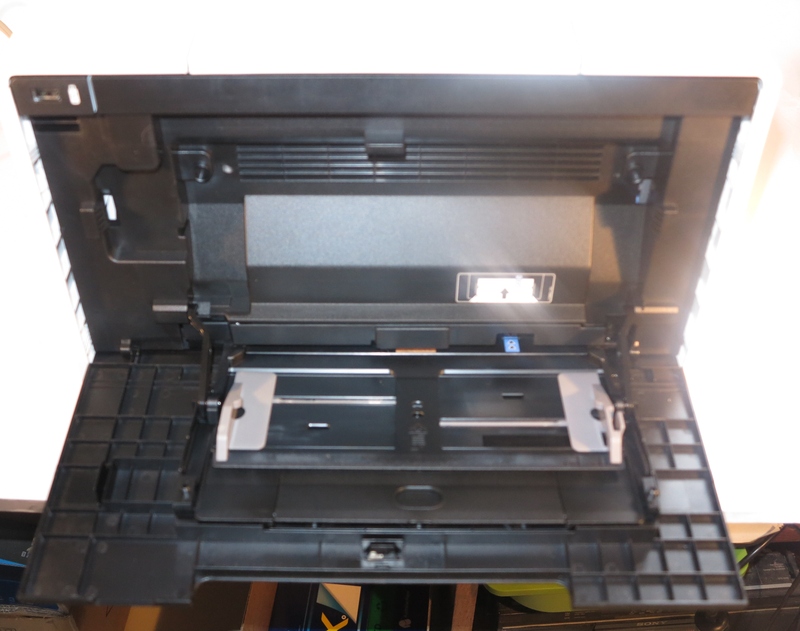 Most inkjet multifunction printers have a rear-mounted multifunction tray where you load this paper while laser printers will require you to use a “manual bypass” tray or slot at the front as the loading tray and have a drop-down door at the rear as the output tray. Increasingly, budget and some midrange printers will have a limit on the number of sheets of paper that you can load through this way with some of them even requiring you to load one sheet at a time in to the printer. This can be an inconvenience to you if you are turning out multiple copies of the same document. 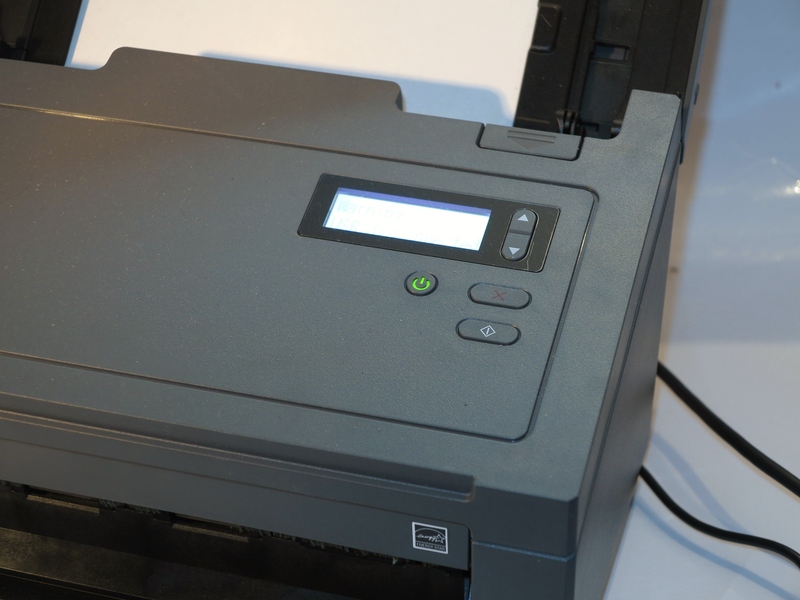 The main question that a lot of users will end up asking will be whether to have the print runs made by an outside printing house or print the documents with their printer. Some of you may prefer to outsource your printing rather than use your printer especially with public-facing documents like brochures and flyers. 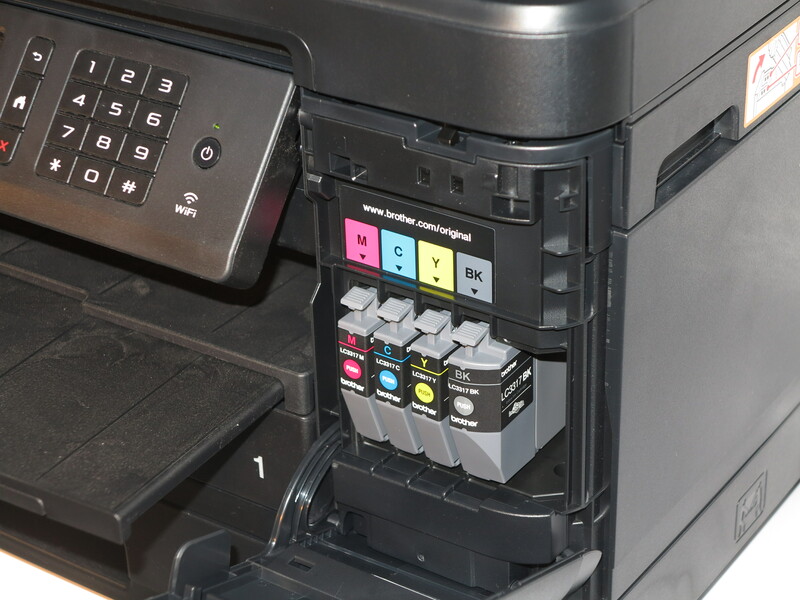 This is because the print shop that you use has better equipment than what you would have and it is increasingly true of large office-supply chains like Office Depot, Officeworks or Staples who provide on-site printing and copying facilities. 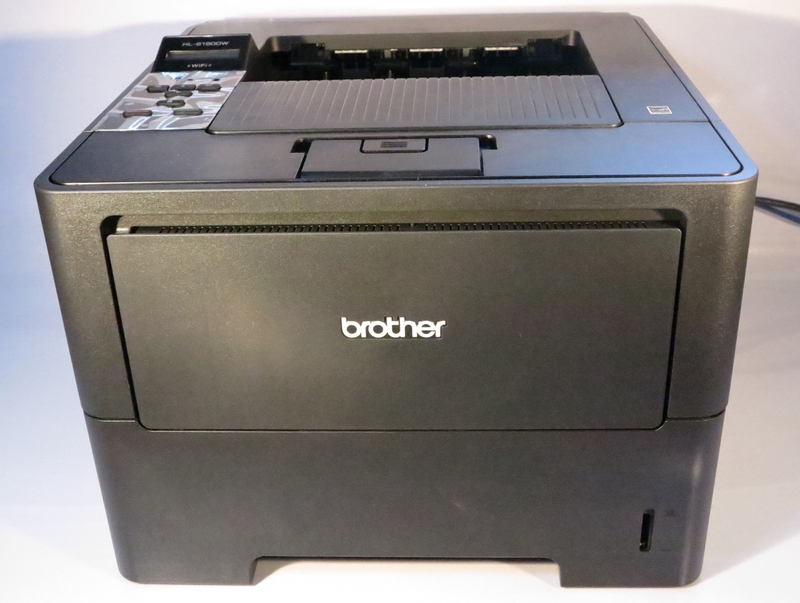 I have talked with two men who pastor churches with medium-sized congregations about this issue through the time I was reviewing the Brother MFC-J5720DW desktop inkjet multifunction printer. This is a class of user who could be tempted to use one of these printers to turn out flyers and tracts as a way to make the offering dollar go further. 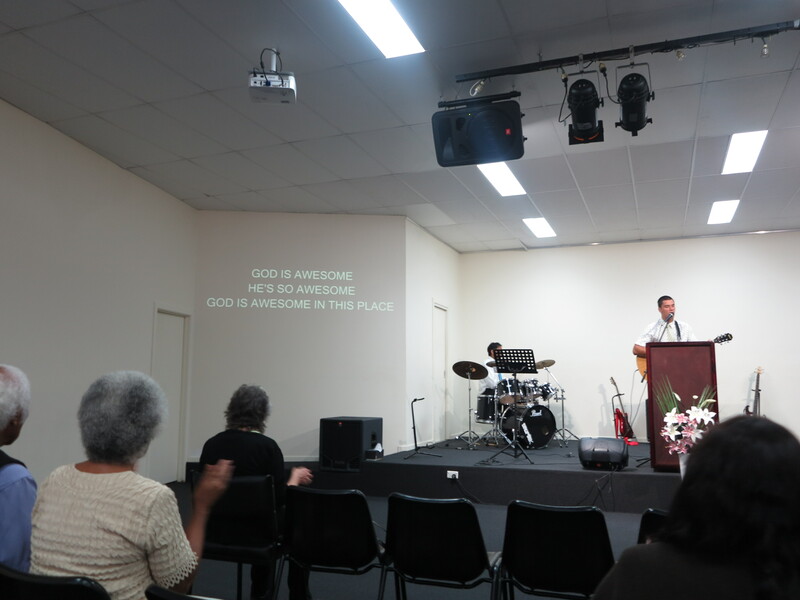 One of these men, who happens to be my pastor, raised the issue of output quality from outsourced work versus work turned out on one of these printers and remarked that the outsourced work is of much better quality. The other pastor raised the fact that these printers wouldn’t work well for turning out large print runs like what would be expected for promoting an upcoming special event at the church. One factor to consider is how many copies you will be eventually needing for your design. If you are turning out up to 20 to 40 copies of your design at a time, you can get by with using your machine. If you end up running more than that, you would need to outsource your printing. This is because of the cost of ink and paper involved in the large print runs, the costs associated with the wear and tear on your machine and the time it takes to run the large print jobs on the typical home-office or small-business printer. This last factor will be of importance with fax-enabled printers serving as fax machines that have to be ready to receive faxes or printers that are required to turn out hard copy as part of business processes. Another factor worth considering is how often your design is likely to change. This also includes situations where you want to adopt a “print-as-needed” policy such as to run a small-enough quantity of flyers for an appearance like a house inspection. 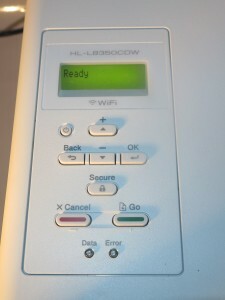 If the design is likely to change frequently or be suited to an occasion, you may have to use your printer for the short runs or outsource larger runs to a print shop that supports quick-turnaround printing such as a copy shop that relies on inkjet or xerographic technology or a printing house that uses digital presses. 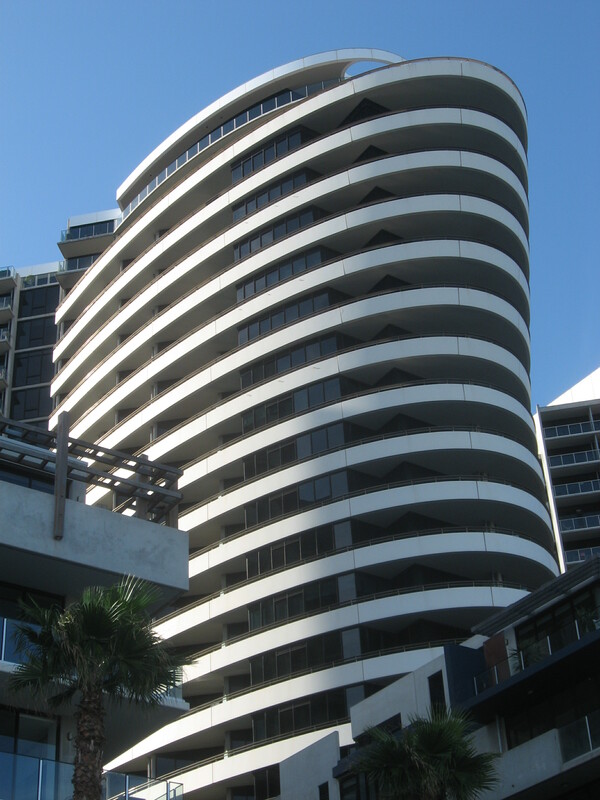 Examples of this may include a café, restaurant or bar turning out menus or drinks lists that are centred around particular food and drink specials, a church or funeral home turning out an order-of-service for a particular occasion or an estate agent or auctioneer running flyers about the property that they are auctionning to hand out to customers. Other factors worth considering include the printing cost per copy if you are intending to use a premium paper stock like coated paper, glossy paper or art board when you are wanting that special look for your public-facing documents.It also includes using finished-document page sizes and forms that are out of the ordinary document-paper sizes like A4 or Letter. Here, you may have to factor in any extra handling that you our your staff may have to do for manual duplexing or cutting to small sizes. It is worth knowing that your machine would keep its worth in the equation as part of the design-approval process before you commit to having them printed. This is where you would be turning out proofs so you are sure they are what you want them to be; or to turn out short “test-runs” to assess the effectiveness of a design. want to keep some copies on hand and ready to distribute so you can get your campaign off the ground without waiting for the printing to be finished especially if you find that your print job has been delayed for some reason. 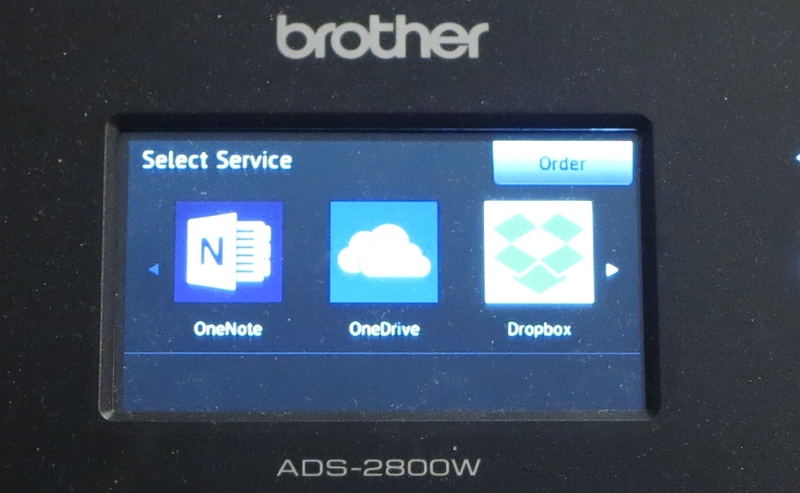 Your existing printer or multifunction unit may be working satisfactorily for you at the moment but you may find that you or your household may benefit from a secondary printer that is connected to your home network. 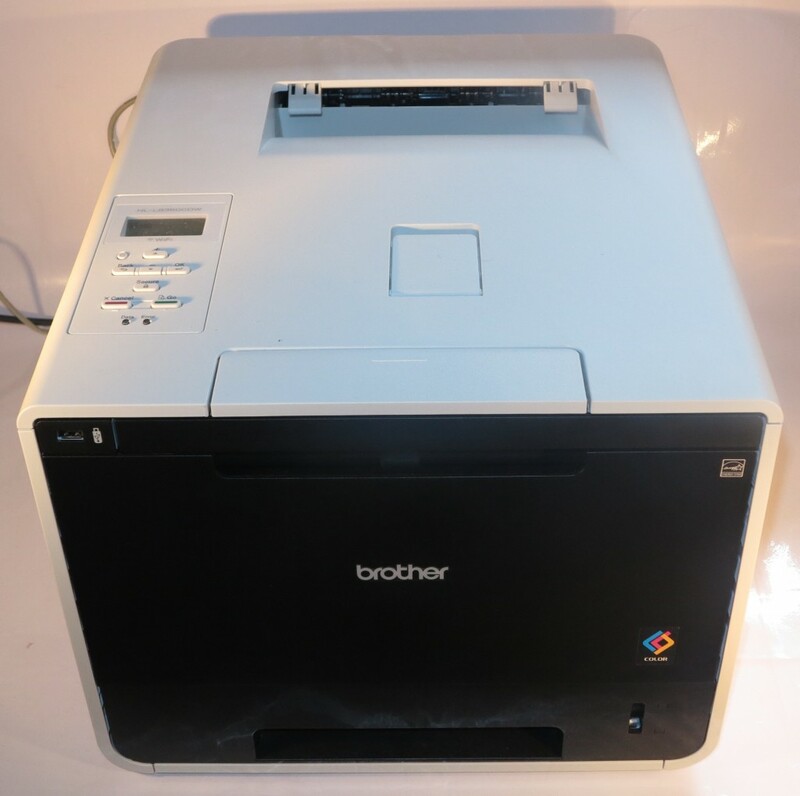 Typically this may be brought about by you buying a printer with more functionality than the one you already own and you “pushing” down the existing printer to serve as a secondary machine like you would with the existing refrigerator or colour television set. 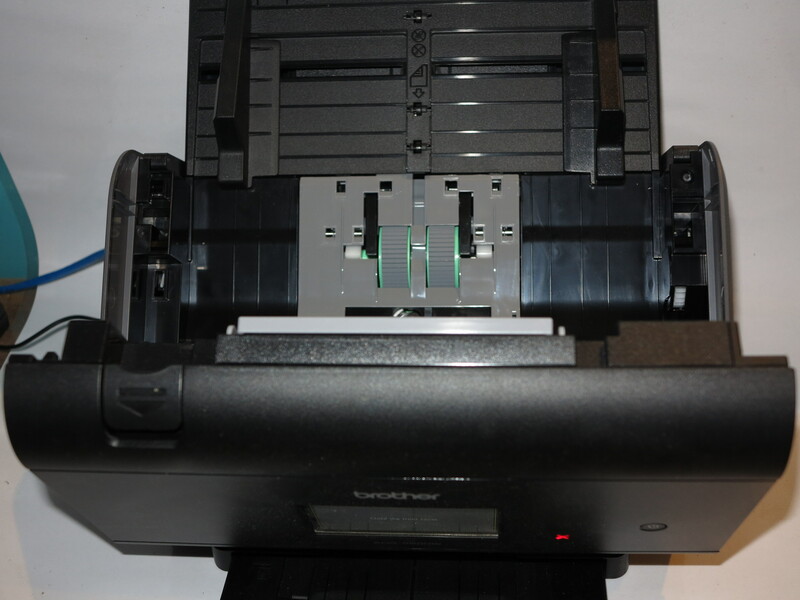 In some cases, it is more attractive to do this with mid-tier consumer units or any of the business units where you spend more on the equipment rather than those units that cost as much as you paid for the machine to replace their ink or toner cartridges. 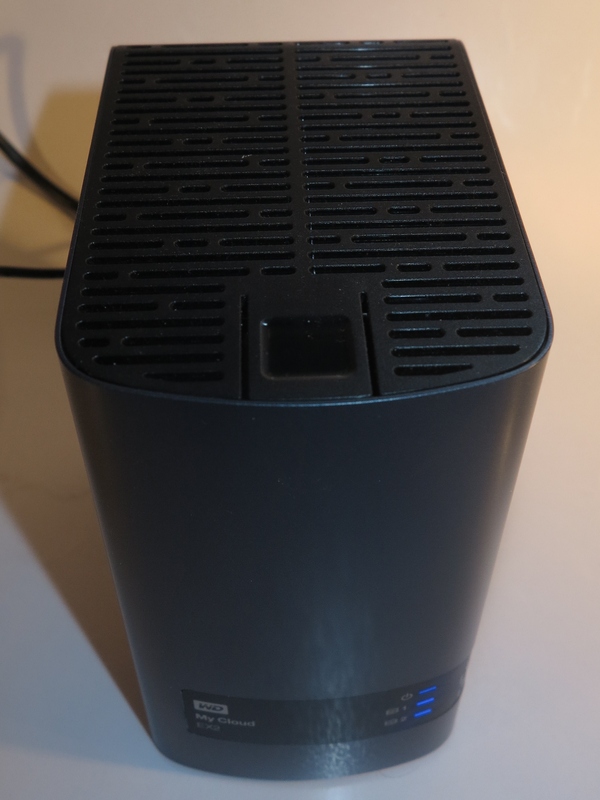 Of course, the idea of networking a printer would be to avoid the need to buy a printer for each computer at home but a different trend has risen. Increasingly, most printer manufacturers are implementing a “mobile-printing” strategy to allow you to print from a smartphone or tablet. This can be done through Apple AirPrint for iOS devices, Google CloudPrint for some Android devices or a manufacturer-provided app. Similarly, most printer manufacturers are selling equipment on a “horses-for-courses” approach where different printers in their consumer and small-business product ranges suit different tasks. 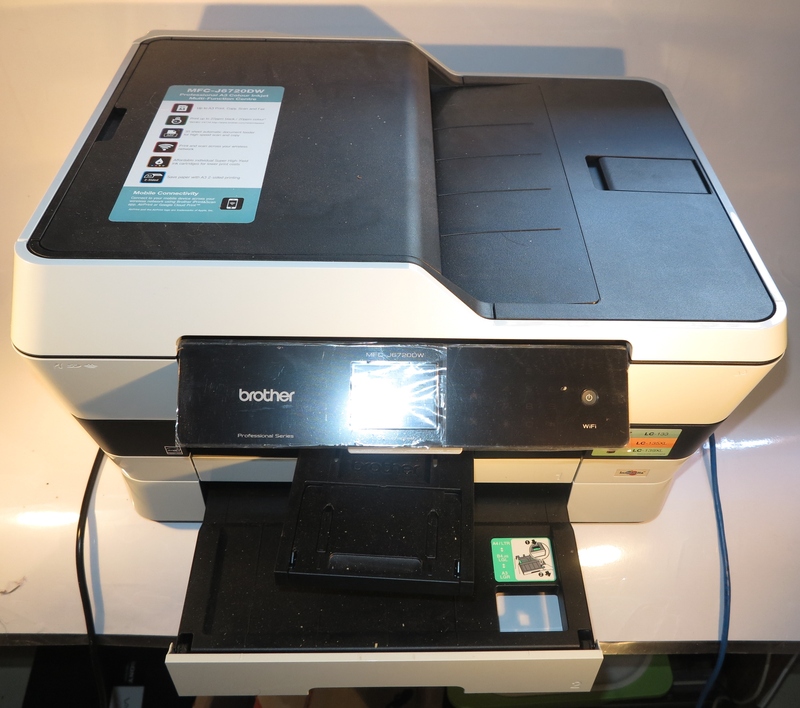 What applications may cause you to think of a secondary printer? 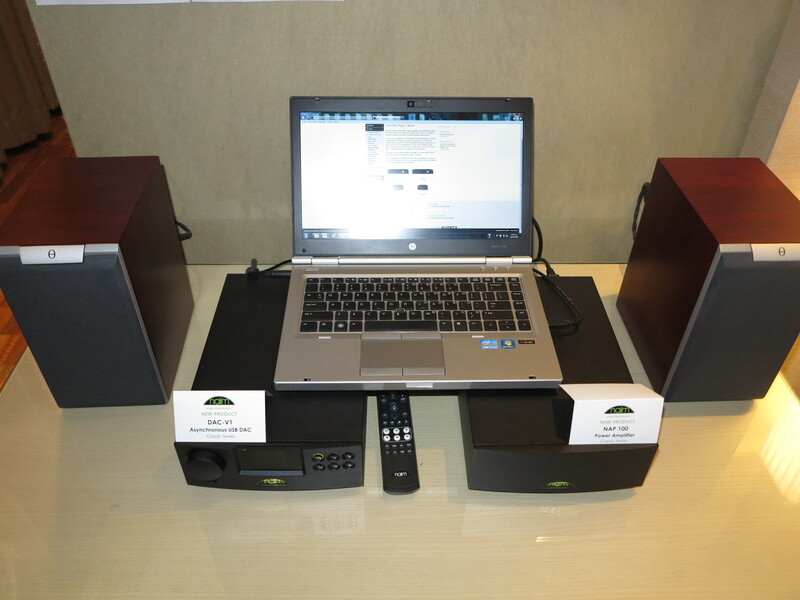 Most likely, you will have the printer kept in your home office or study where you do a lot of the computing. But, as you use AirPrint or similar features that enable printing from your tablet or smartphone, you may be wanting to order print jobs from other rooms in the house like the kitchen. Similarly, most of the recent crop of printers have a “print-from-Web” function to obtain hard copy from Web services like Dropbox or Facebook. 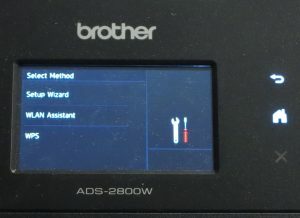 The idea behind this setup is that when your computer device asks you which printer to send the job to, you determine the machine that is local to you for that job. Here, you have the advantage of being ready to collect the job immediately rather than it piling up on the desk. You also have the assurance of hearing whether the machine has started to turn out your job or not so you are not worried about sending it to the wrong unit or mis-specifying that job. This situation may be more real for those of you who live in a larger house or a multi-storey / split-level house and have the home office up the front or downstairs but have a significant activity area on the other side of the house or upstairs like the kitchen and family room that is located down the back of the house. 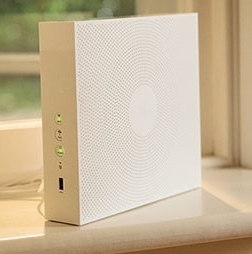 Similarly, those of you who have a multi-building home network covering the garage,barn or bungalow alongside the main house may also find this situation applying to you. Here, you could keep a lesser-capable printer or multifunction in the bungalow while having another unit like a better model kept in the main house. Here, you could keep a light-duty network-capable multifunction printer like the Brother DCP-J552DW, the Brother DCP-J562DW or HP Envy 120 in the kitchen or family room. 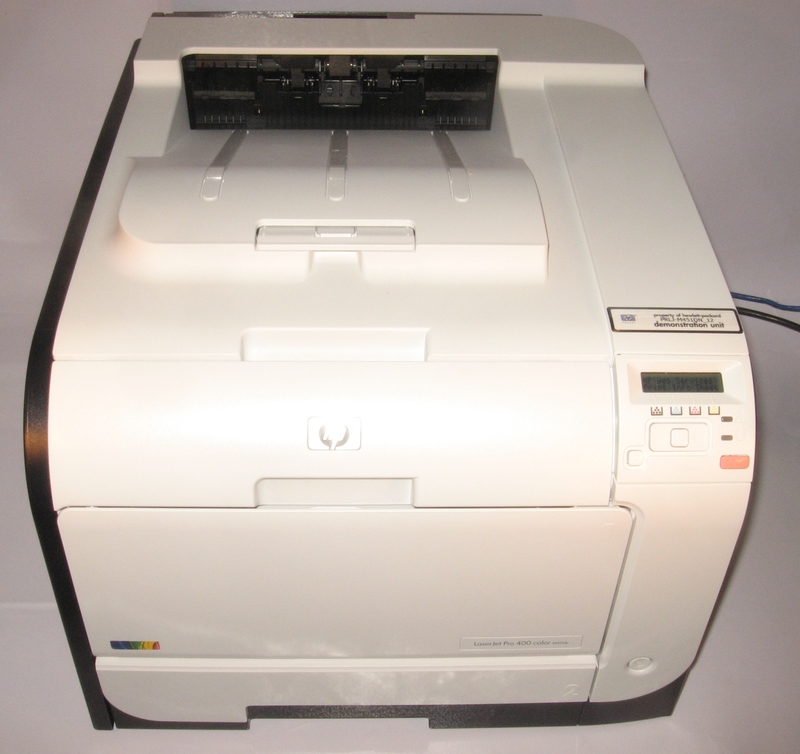 This could allow you to do on-the-spot printing and copying in that area. A mid-tier consumer inkjet, low-tier business inkjet or a low-tier business laser / LED machine may work well for a study. Some families may use this as a way to work towards providing their adolescent or adult child with a printer for when they “grow their wings and leave the family nest”. Here, the adolescent or adult child could be responsible for buying the consumables for that machine and then take it with them when they move onwards. You could have the best of both printing types for your home office if you have both a laser and an inkjet printer. Here, you could benefit from the flexibility that this offers when it comes to choosing and using stationery for your printing requirements. An example of this could be to not worry about purchasing laser labels or inkjet labels for your envelopes because you can use the appropriate machine for the labels you have on hand. Some users may benefit from a monochrome laser or LED unit for their routine document-printing needs while a colour inkjet can come in handy when occasional colour printing is required. 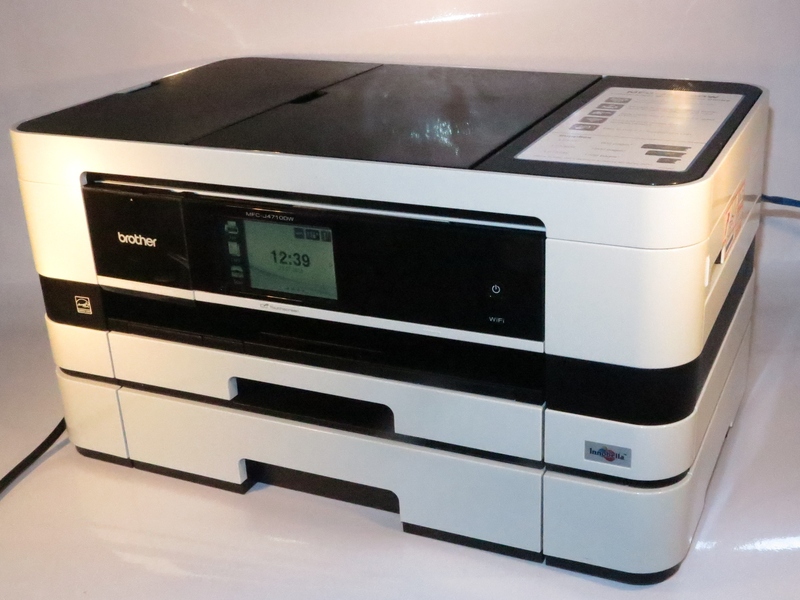 Similarly, a photo-grade inkjet machine like a high-end HP Photosmart or OfficeJet or high-end Epson could serve your photographic or brochure-printing needs while a machine not so good with “presentation printing” or “photo-grade printing” can do the normal office printing work. 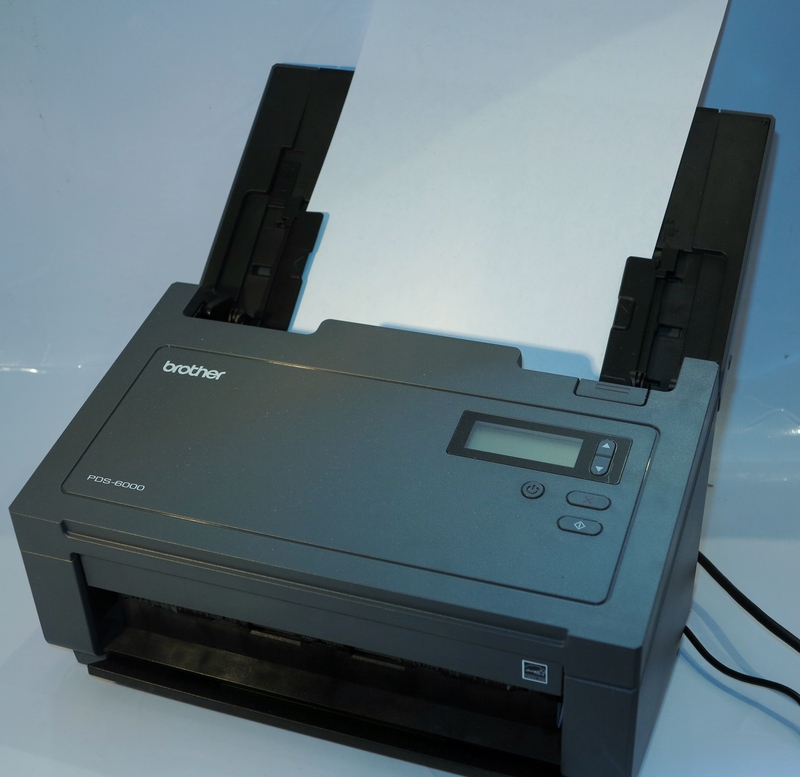 This is more so as presentation-grade glossy or silk-look paper is more readily available at local office-supply stores for inkjet printers than it is for laser printers. 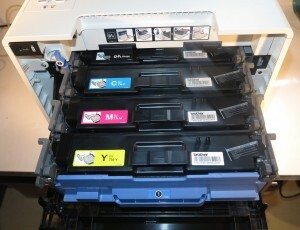 Another example would be is having machines that handle different paper sizes such as A4 and A3. You could use an A3-capable printer or MFC for your large-sheet printing requirements while you maintain an A4-capable machine like most business lasers for most printing needs. A common issue associated with very-low-end printers when it comes to keeping them going is that the cost of purchasing replacement consumables is equivalent to that of purchasing a similar-standard printer. As well, a lot of these machines may not last for a long time nor would they be able to yield a significant number of pages. I would also be careful of the two-cartridge colour inkjet printers because if one colour runs out, you would have to replace the colour cartridge. These can only work well for occasional work but I wouldn’t expect to run them hard for constant work. On the other hand, I would pay attention to brands that use the same type of consumables across a large part of their product range. This is represented with Hewlett-Packard implementing the 564 series of ink cartridges across most of their Photosmart product range since 2009 and Brother using the LC-133 cartridges across all of their current-issue inkjet machines. The latter example was underscored with the Brother DCP-J552DW multifunction printer which is a light-duty home machine and the Brother MFC-J6720DW A3 multifunction printer which is a heavy-duty SOHO unit using these cartridges – you don’t have to think of buying two different cartridge types for the different printers..
You can run one or more additional printers on your home network still as communal printers. 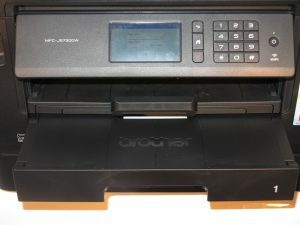 But these can earn their keep either as a machine that is local to a point of activity and/or to provide functionality that is complementary to other printers that you own. 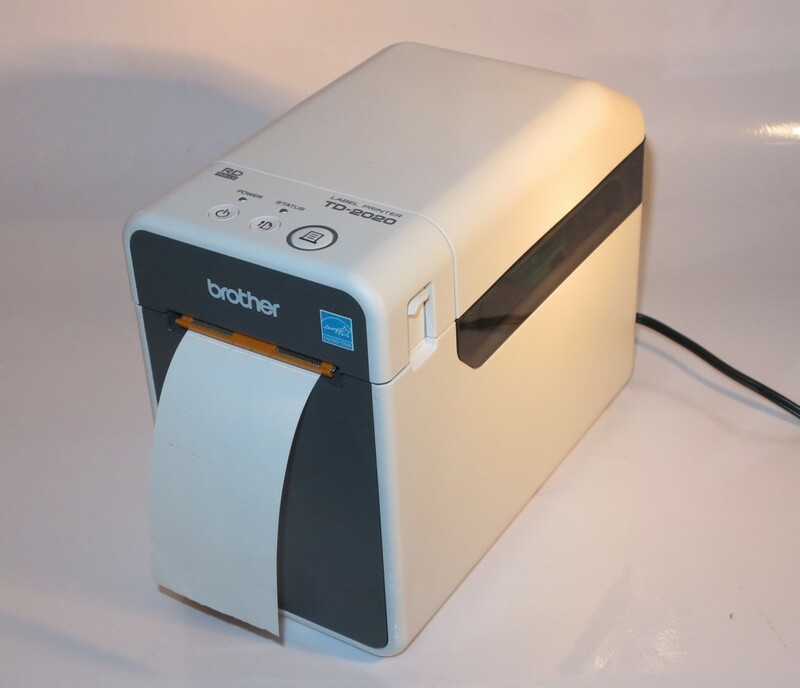 Previously, I had drawn attention to Brother’s new TD-2000 Series of business label printers which, unlike the QL series, were able to work as receipt printers, This is brought about by the fact that this unit prints on the outside of the thermal paper roll. Now I have the chance to review a member of the series in the form of the TD-2020. This model, which costs AUD$399, is the direct-attached variant of the series which connects to the host computer via USB while there are the networkable variants in this series in the form of the TD-2120N and The TD-2130N which can be connected to a network via Ethernet. The Brother TD-2020 prints on the outside of the label roll thus making it suitable as a receipt printer. 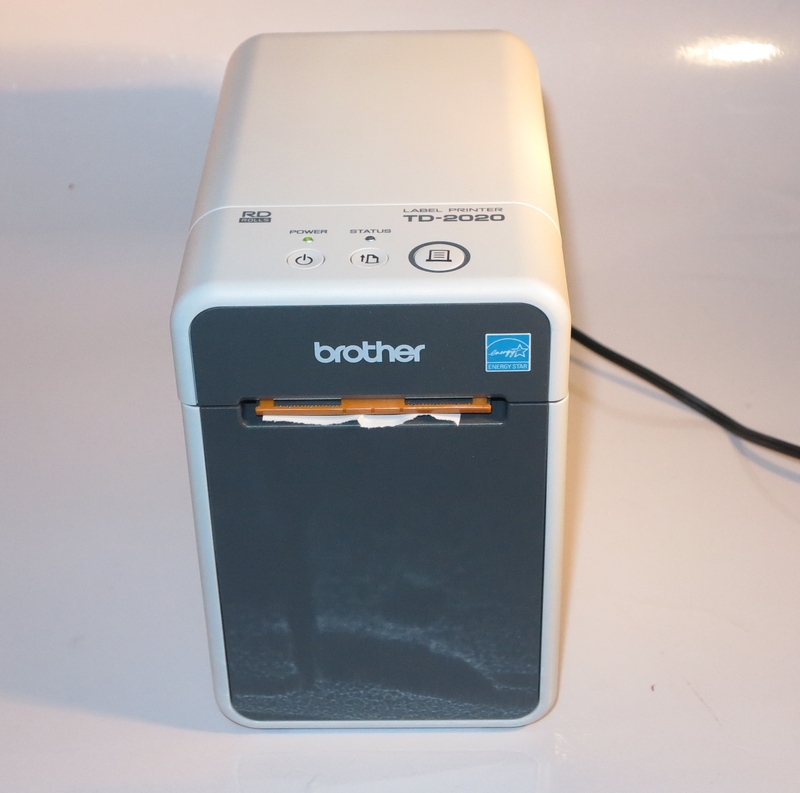 When I tested this unit, it was easy to set up, just by installing the driver off the CD or, as I prefer so that the machine works on the latest drivers, downloading the driver from Brother’s website and installing that driver. 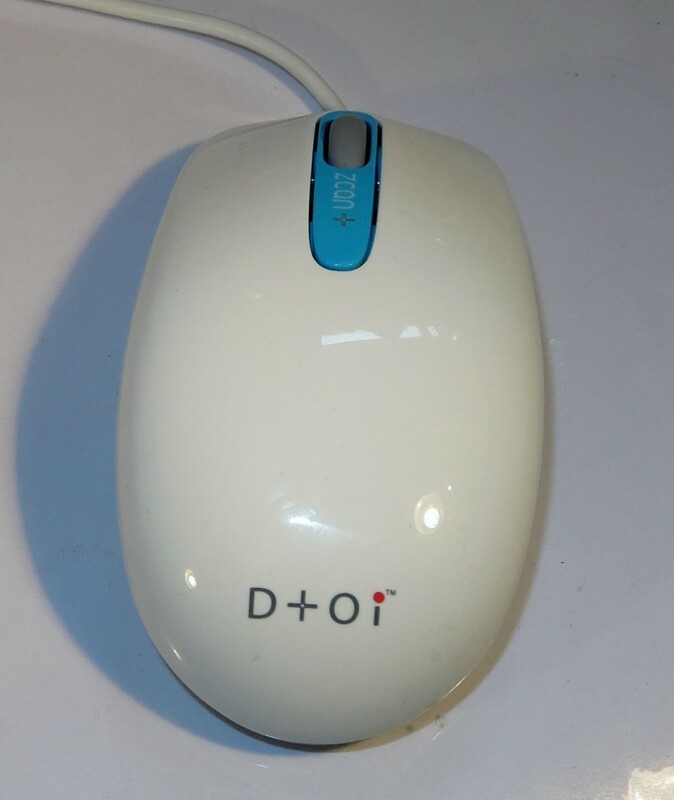 Then it was simply plug and play by plugging it in to the USB port. As far as the host software is concerned, this machine can work with the ESC/P formatting codes which are being used with most point-of-sale applications. 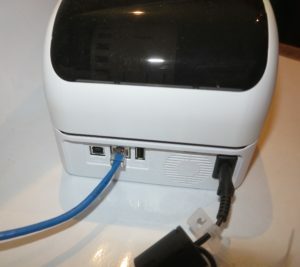 Personally I would also like to see these models implement USB POS class drivers for this kind of printer so as to work with embedded devices and systems as well as provide simple “swap-out” installation for most computer-based POS systems. 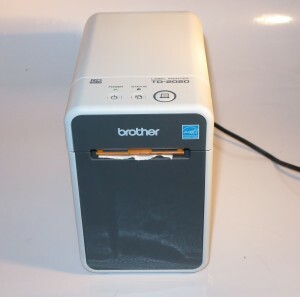 For labels, the printer uses Brother’s RD thermal label stock which is available as either continuous or die-cut form. But you can use receipt paper tape of the same width that is used for payment terminals when you are turning out receipts or vouchers. Here, it works best with the larger rolls rather than the smaller rolls that you may use with something like a card payment terminal or printing calculator. 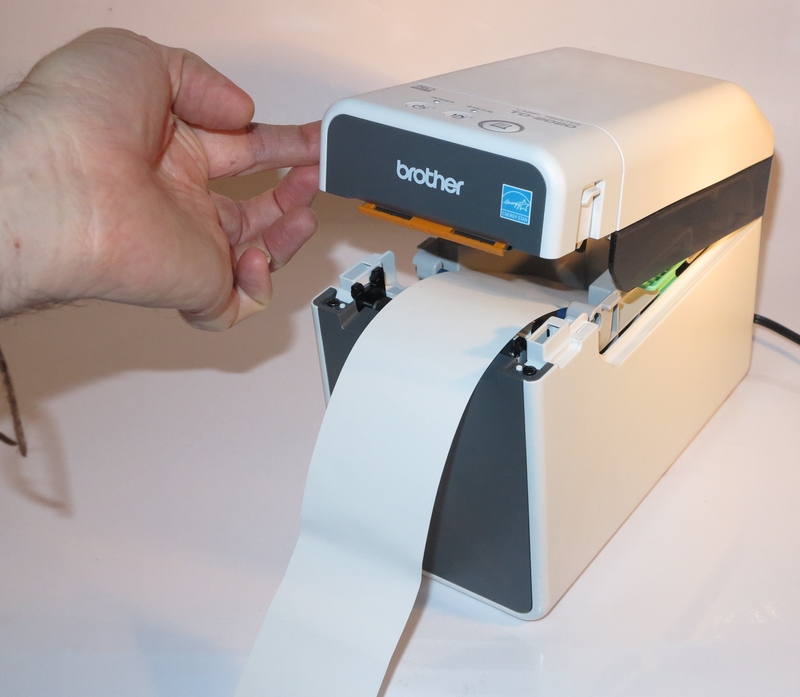 As for loading of labels or receipt paper, the Brother TD-2020 is simple to load due to the use of a clamshell design where you pull the tape out and close the lid to feed the tape through, There isn’t the need to thread the tape behind any rollers to have it ready to print. It worked as expected when I set a Notepad test document to the printer turning it out very quickly. The Brother TD-2020’s paper feed button could be larger due to the common practice in cafes and bars to use this to supply writing paper to a customer for them to exchange contact details with others. Similarly, Brother could repeat this design in a wider form for the wider paper tapes used in competing POS receipt printers. 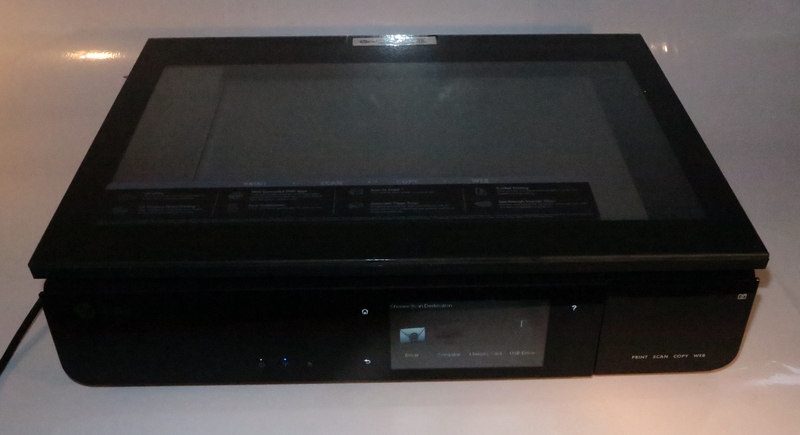 Personally, I would like the printer to implement the USB HID-POS device class and other device classes associated with receipt / voucher printers so you don’t have to have device-specific drivers on your point-of-sale, gaming, interactive TV or similar application. 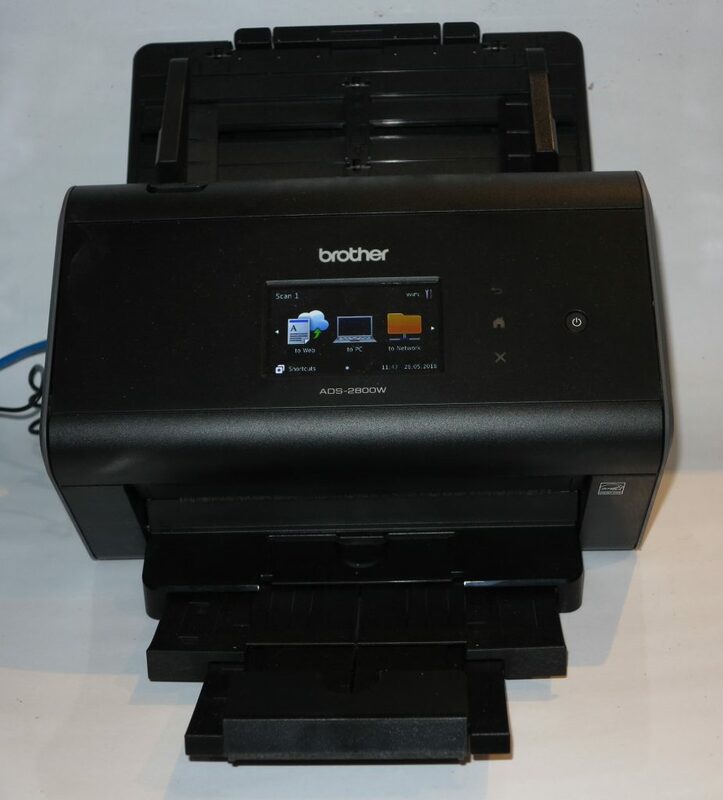 Brother could work towards a variant that is a two-roll design that can allow one machine to turn out labels and receipts which can earn its keep with pharmacy, travel and similar applications where an item has to be labelled and a customer needs a receipt as well. 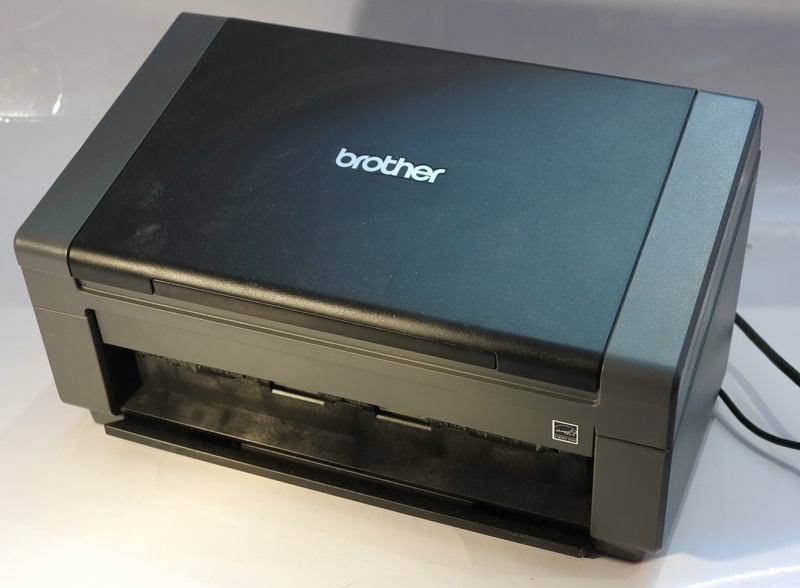 The Brother TD-2020 label / receipt printer can earn its keep in businesses where the likelihood of turning out receipts or labels is very strong. Here, it could work as a POS receipt printer but serve as a label printer, or serve as a labeller for items like medicines but come in to play as a backup receipt printer. 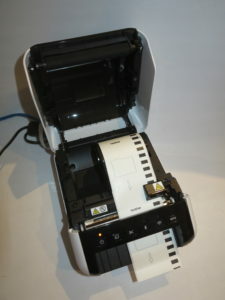 Similarly, I would see the TD-2020 label / receipt printer as an easy-to-load receipt printer or labeller for environments where you have many different users such as a small business or volunteer organisation with many different employees or voluntters coming through the organisation/ This is because the way you load the tape in to the printer is effectively a simple “drop-and-close” operation. which means that there is very little that can go wrong with this system due to low risk of loading mistakes.